Esperance, what an amazing place for a landscape photographer to head to. I can’t wait to get back down there and spend some real time getting photos there. Esperance has everything in such close proximity to each other. You spend one morning down at Lucky Bay shooting beach scenes and then that night spend the evening shooting rocky coastly scenes. Next time I’m down there I’d really like to head East a bit more and check out Cape Arid National Park, it looks like there are some really cool sand dunes, shipwrecks and other interesting features to capture down there. I managed to capture this shot after trying to capture Hellfie Bay in the morning light but I just wasn’t happy with what I was getting so I moved around the corner and saw this view before me. My eyes lit up when I saw this and I started to snap away. It just goes to show that you should never give up. If you aren’t capturing what you want, stop and think about what is available to you and what can work for you and try shooting that instead. If all else fails try just the old ‘turn around and look behind you trick’ how many of you have tried that and have it work for you? 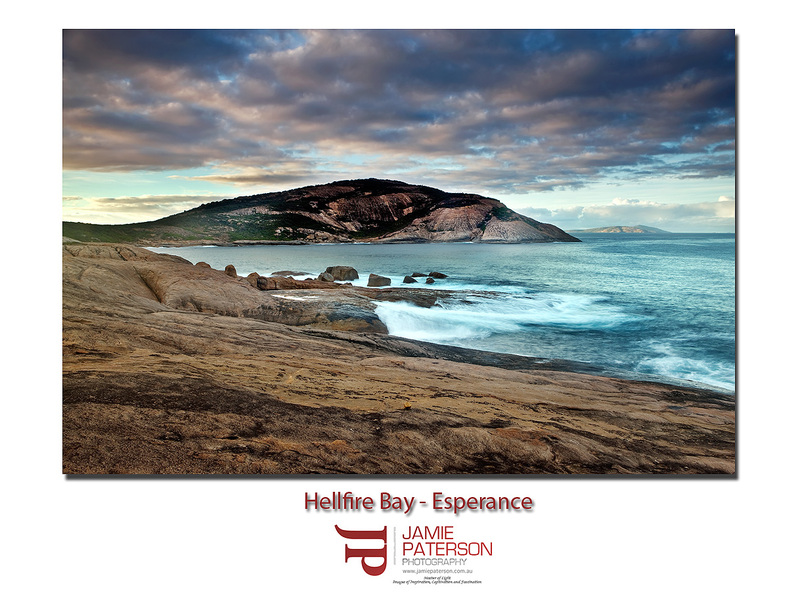 This entry was posted in australian landscape photography and tagged australian landscape photography, Australian Landscapes, Australian Seascapes, cape le grand national park, esperance, esperance landscape photos, hellfire bay, long exposure, ocean, sunrise, western australia. Hey Jamie Esperance is awesome. I have thought about living there well at least Albany. I posted another Esperance image the other day. Hey did you happen to get out and shoot the storm front yesterday. Its was crazy along the metro coast. Have a look at my latest images from the storm, maybe add me as a link ! Thanks for the feedback mate. Much appreciated. Thanks for that mate. I’m sure I’ll head back down again soon. I’ll let you know when.